While Marvel's Black Panther managed to pull off an impressive four-peat at the domestic box office this weekend, the superhero adventure's debut in its final international market, China, is making headlines as well. Black Panther pulled in an impressive $66.5M in the Middle Kingdom, with this three-day tally already enough to become the movie's top international market. The $66.5M Chinese haul surpasses the U.K ($55.8M), South Korea ($42.8M) and Brazil ($29.6M), although it may not make much more in China, according to other reports. 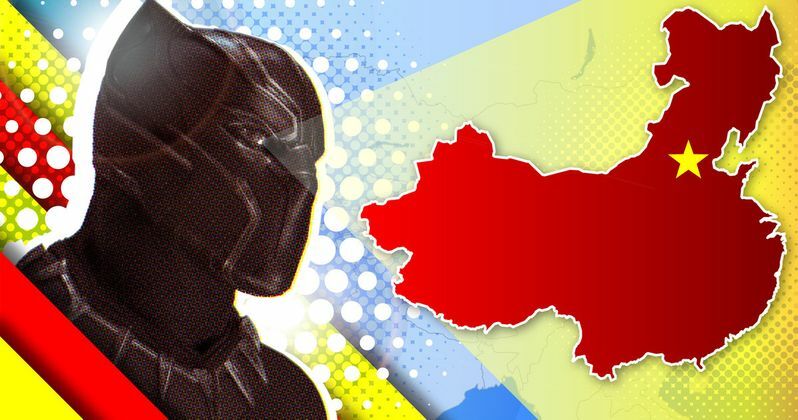 Black Panther marks the first foreign movie to open in China since the middle of February, when the country imposes a "blackout" period on all non-Chinese films due to the Chinese New Year holiday, where local films are given distribution priority. Other reports reveal that Black Panther hasn't exactly been receiving favorable reviews on local website Douban, and with a competitive spring season ahead, Black Panther is projected to earn between $100M and $110M in China throughout its theatrical release there, although it's worth noting that the movie has far exceeded all of its Box Office projections thus far. Black Panther had a 53% market share in China through its opening weekend, and its $66.5M debut represented the fourth-largest Marvel Cinematic Universe movie debut in China, behind Spider-Man: Homecoming ($69.2M), Captain America: Civil War ($93.6M) and Avengers: Age of Ultron ($155.7M). The $66.5M debut also marked the biggest opening weekend for a non-Chinese film in the Middle Kingdom to date, bringing Black Panther's worldwide total to $1.078B, with $562M domestic and $516M foreign. The $516M foreign tally has already pushed it past the foreign grosses of many other hit superhero movies, such as X-Men: Days of Future Past ($514M), The Amazing Spider-Man 2 ($506M), The Amazing Spider-Man ($496M), Guardians of the Galaxy Vol. 2 ($474M), The Dark Knight ($470M) and Captain America: The Winter Soldier ($454M). Both the domestic and international tallies are expected to top out in the $600 million range, with a projected $1.2B worldwide total. Black Panther is already the second highest grossing Marvel movie on the domestic charts, although whether or not it can break the six year record of $623.3M set by Marvel's The Avengers remains to be seen. Black Panther is also setting quite the high bar for the next two Marvel Cinematic Universe movies to come after it this year, Avengers: Infinity War on May 4 and Ant-Man and the Wasp on July 6. Given the fact that practically the entire Marvel Cinematic Universe is appearing in Avengers: Infinity War, it could have a chance to not only break the MCU opening weekend record of $207.4M set by The Avengers in 2012, but it may also come close to breaking the all-time opening weekend record of $247.9M set by Star Wars: The Force Awakens in 2015. Variety broke the news on Black Panther's Chinese box office debut earlier today.